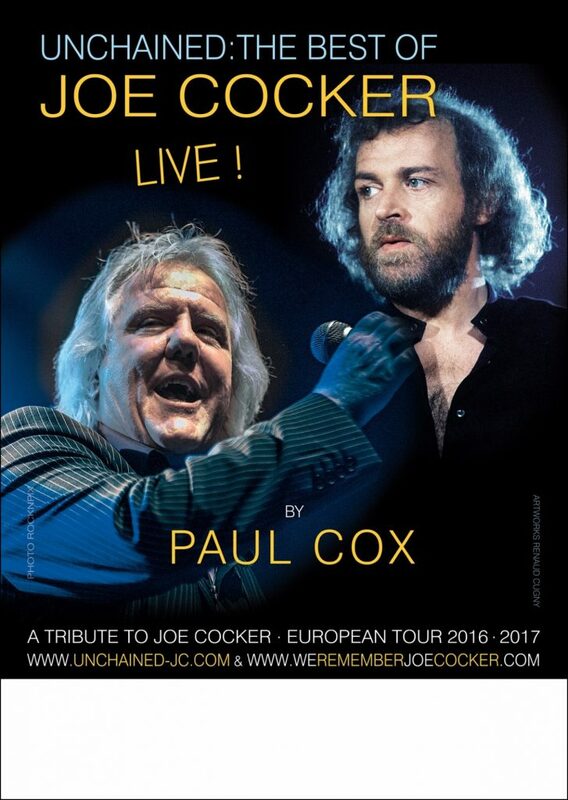 A truly wonderful show and unique in that “Unchained – The Best Of Joe Cocker” are the only Joe Cocker tribute band in Europe. Led by the wonderful voice of Paul Cox – the show features songs taken from throughout Joe Cocker’s illustrious career. Featuring all the hits – “Delta Lady”, “Something”, “Unchain My Heart”, “Up Where We Belong”, “With A Little Help From My Friends” amongst a host of instantly recognisable songs – this is a guaranteed sing along show and not to be missed. Paul Cox is one of the best showmen and singers around today. Equally at home with Soul and Blues songs, and more than capable of Rockin’ it up, he has been described by DJ and Blues Band legend Paul Jones as having ‘one of the best voices in the UK’. Paul has an impressive track record, playing with great guitar players including Snowy White, Ray Minhinnett, Henry McCulloch, the late John Slaughter, and recently French guitarist Charlie Fabert. He has opened for some of the greatest artists in the world, including Ray Charles and Eric Clapton, and sung with Paul Rogers, Bonnie Tyler, Sam Brown, Ruby Turner, and Debbie Bonham.